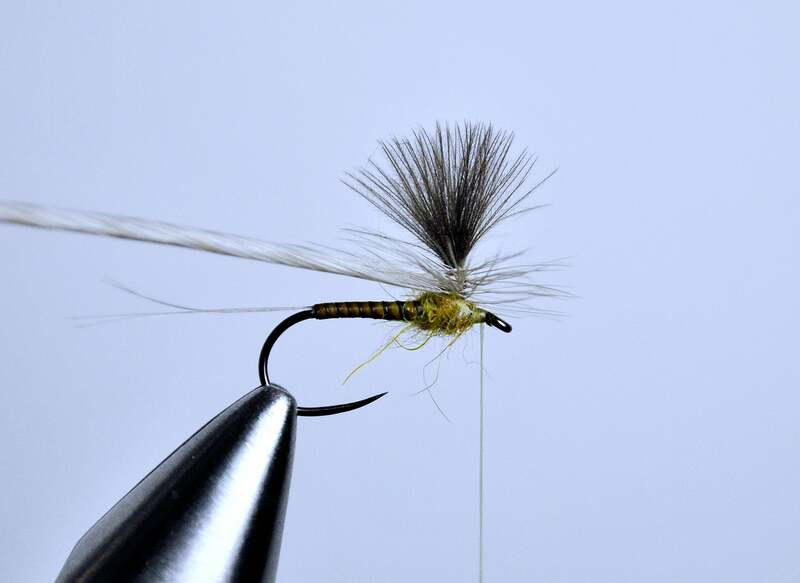 Ricky's Quill Body BWO has proven to be a very effective small olive pattern in the Upper Delaware and Beamoc. 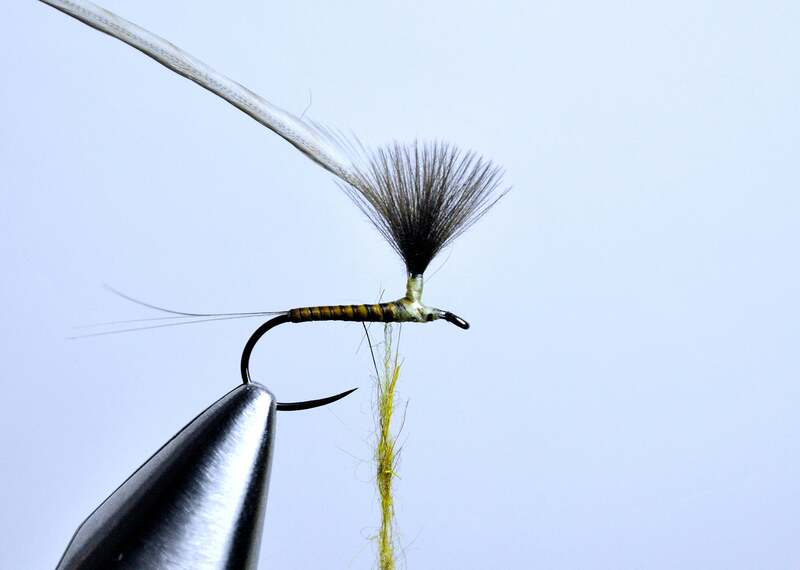 It features a thin quill body, sparse hackle and a cdc post. These features match the characteristics of the naturals but still make for a pattern that is fairly easy to see and present. 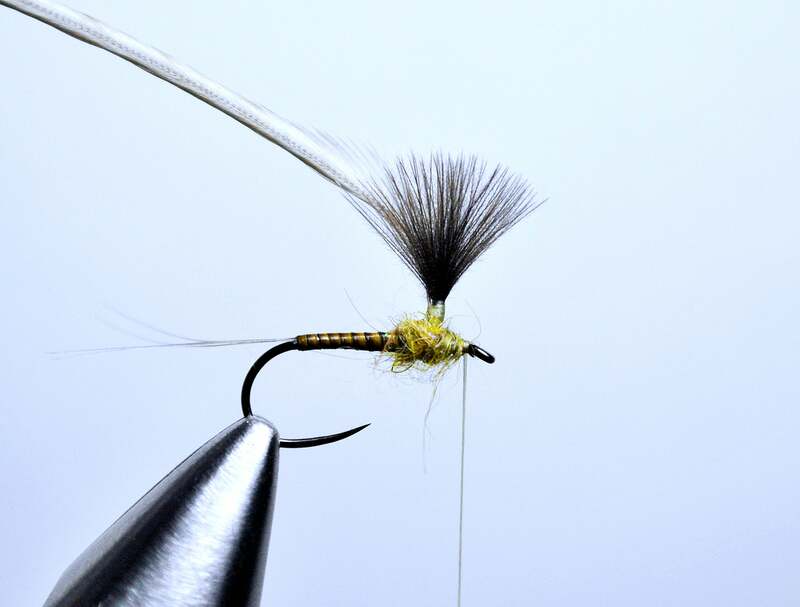 Aside from the size, it is a fairly easy pattern to tie. 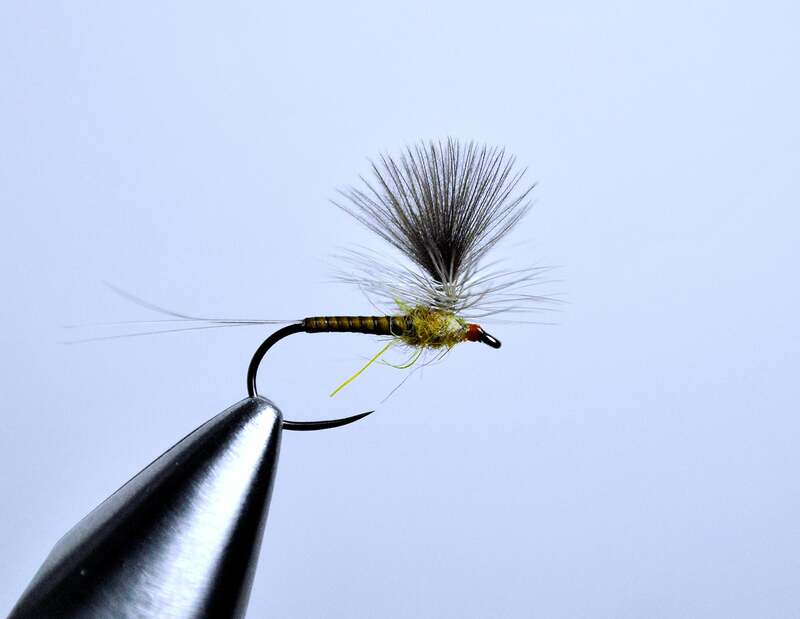 They are usually tied on barbless hooks, a Dohiku 301 in the pictures, but any dry fly hooks can be used. With slight changes to the colors, it can be used to match the olives in your system. Place a hook into the vise. Start by waxing the thread, attach the thread onto the hook and position it 1/3 of a shank length behind the eye. Do not trim tag you will use this later on to split the tails. Pair up two cdc feathers that look identical. Place them together lining up the tips and so that they both curve away from one another. With your thumb and forefinger, hold the feathers over top the shank of the hook to gauge the height of the wings/post. They should be one shank length long. Tie on the post making a base of thread aprox one eye length long up the post then back down to hook shank. 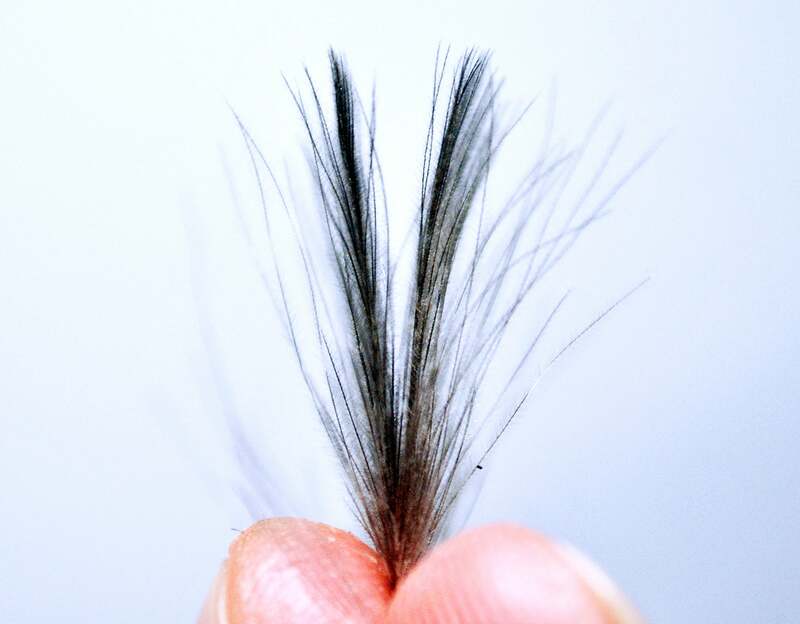 Tie in your hackle feather with the underside of the hackle resting against the post so that when the hackle is ready to be wrapped the underside of the hackle should be positioned upwards each wrap. 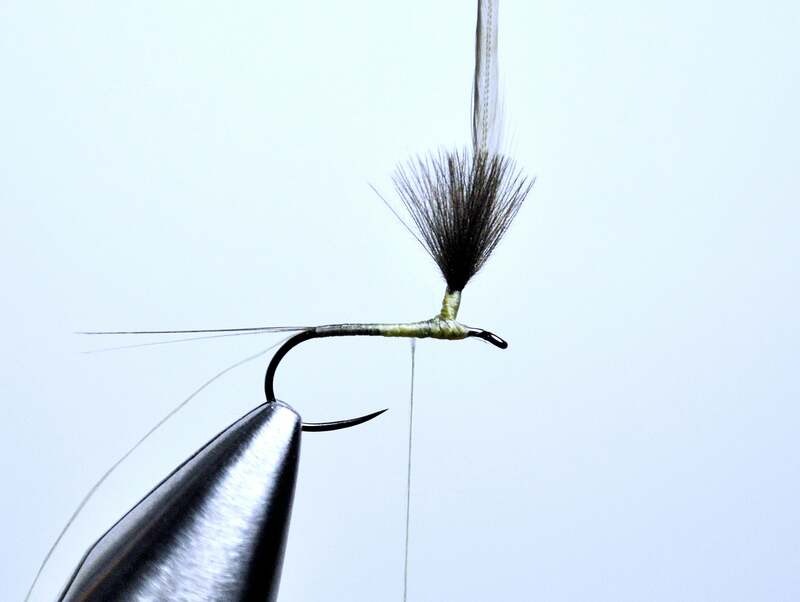 Before tying in hackle, strip barbs away from stem, tie in hackle advancing thread over bear stem up the post when you reach top of post start advancing the thread back down the post back onto the hook shank. 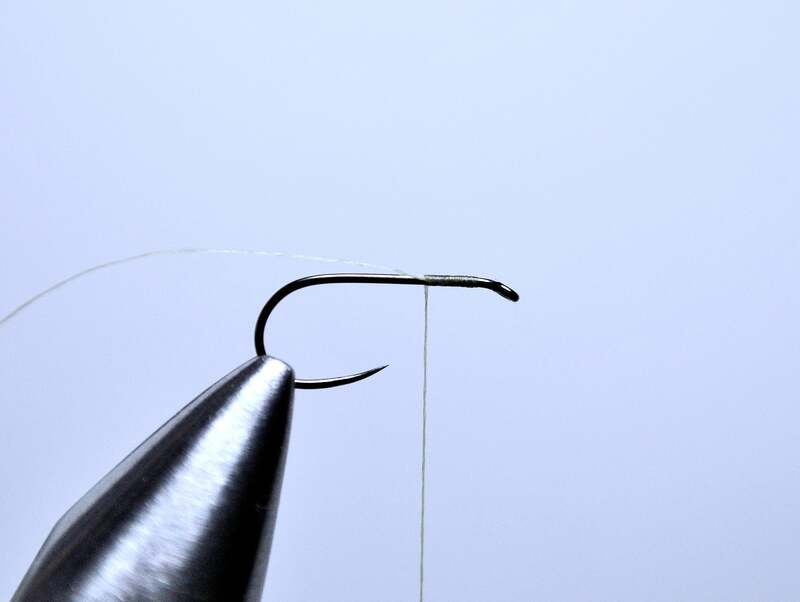 Flatten out the thread wax it once again and wrap a smooth under-body towards the bend of the hook. 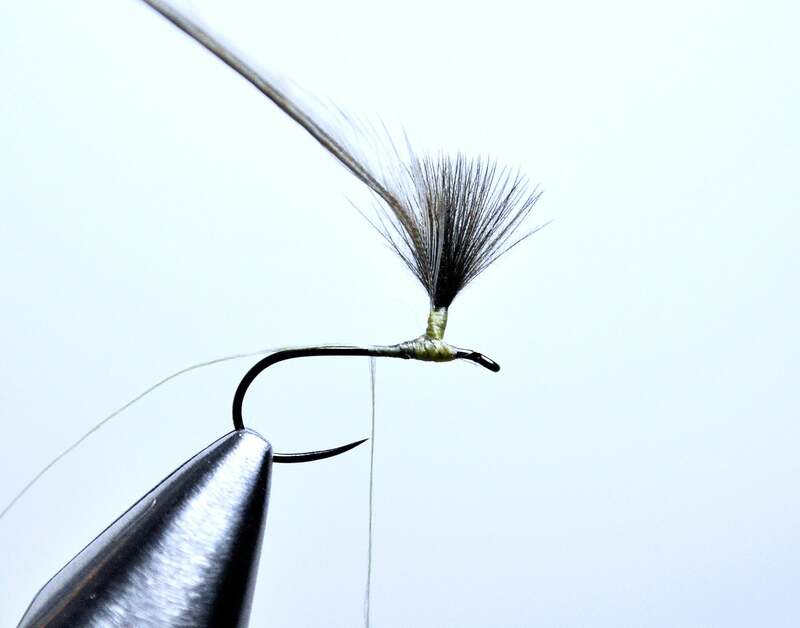 Select a dun Coq de Leon feather and pull 4 barbs off the stem with the tips aligned. Measure the tail to one shank length long and tie in the tail. At this point the tag end of thread should also be hanging off the hook bend with the tail. With the thread flattened out advance it forward creating a slight taper as you make your way to the base of the post. Now pull the tag of thread forward splitting the tails into groups of two. Tie down the tag of thread with a couple of tight wraps and trim. Flatten out thread and wrap a smooth underbody advancing the thread toward the hook bend to the position the tails were tied in. 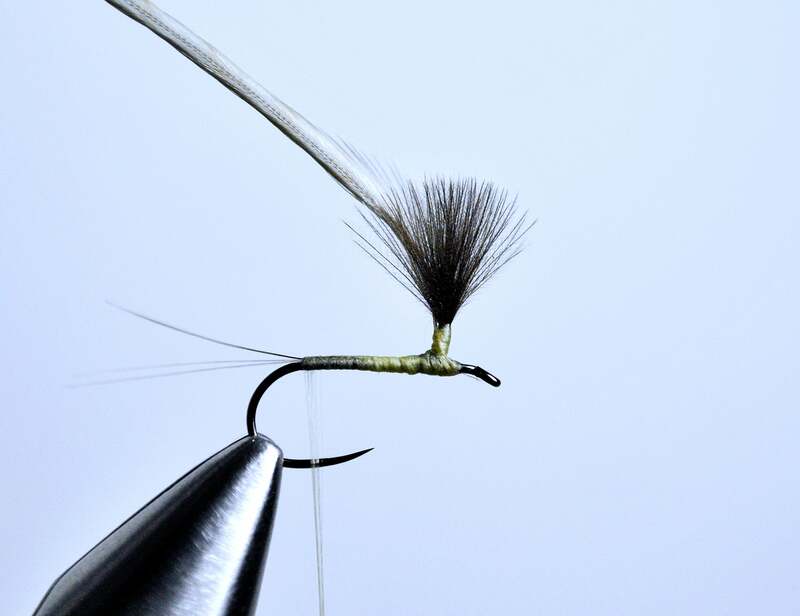 With your polish quill pre soaked in water tie it in at hook bend with the dark edge facing hook bend, prior to wrapping quill forward advance the thread back up to the base of wing/post covering the tip of the quill to form a smooth under-body. 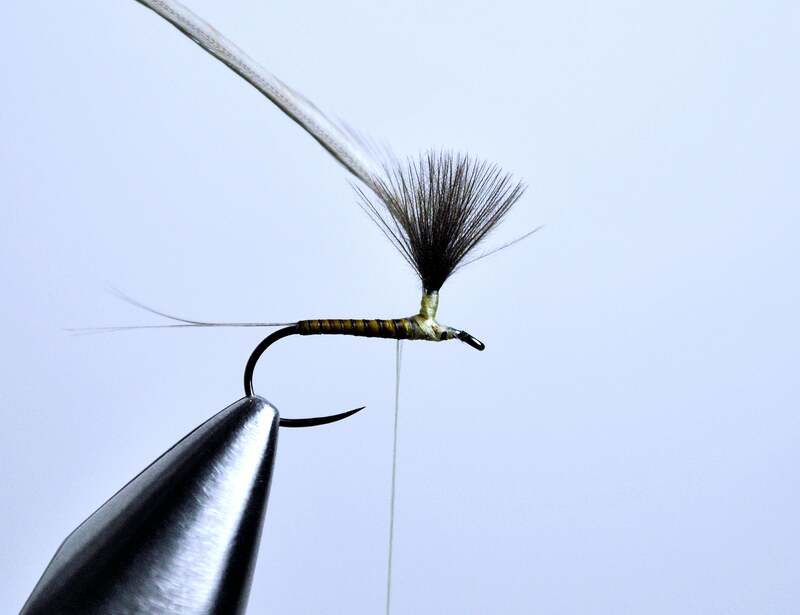 Coat underbody with Zap A Gap and wrap the quill forward through the wet zap a gap the dark edge should be towards the bend of the hook while being wrapped, I like to wrap the quill counter clock wise wrapping it towards myself. Wrap the quill right up to the base of the wing/post and tie off with a few tight wraps and trim waste. 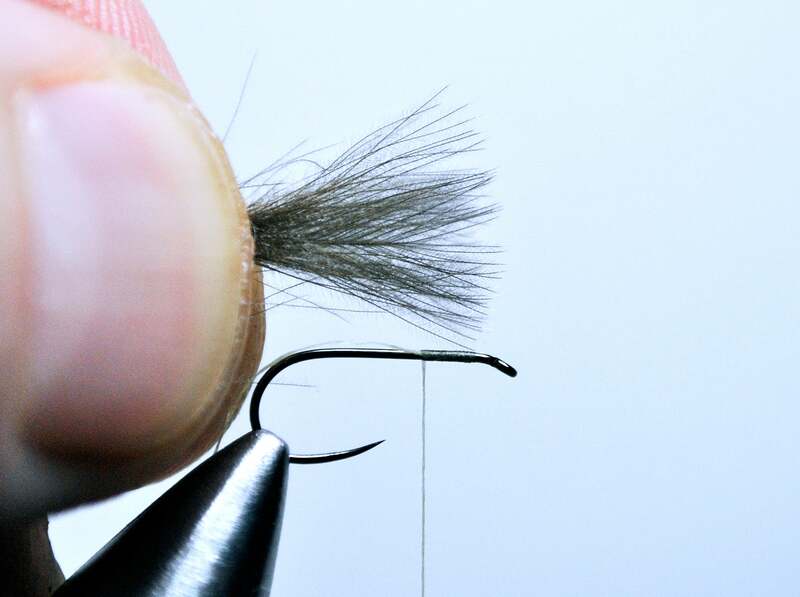 Place a small amount of dubbing onto the thread and create a buggy looking thorax advancing each wrap towards the eye of the hook. Do not crowd the eye! 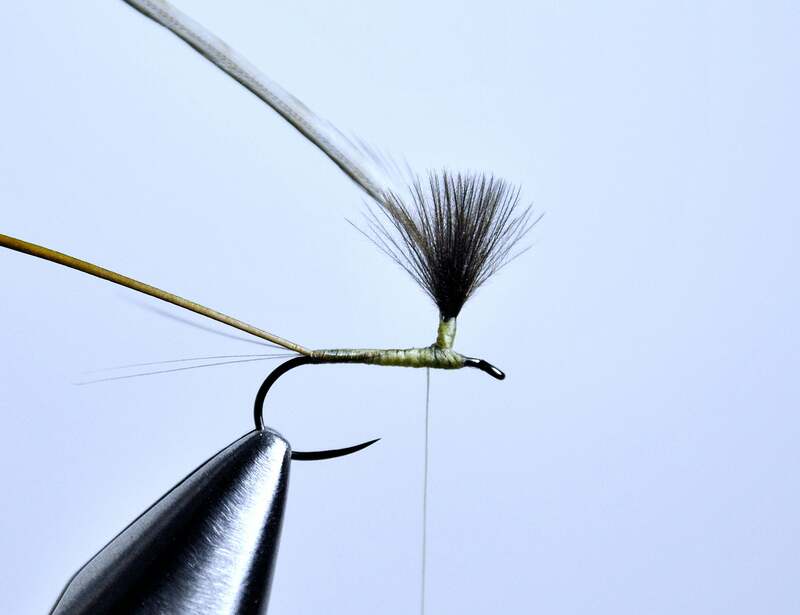 With a pair of hackle pliers catch the tip of the hackle and wrap clockwise in almost touching turns down the post, should take a about 4- 5 wraps. While still holding the hackle firmly with your left hand, take your thread hand and secure the hackle to the base of post with 3-4 tight thread wraps. Take the last wrap back onto the shank directly behind the eye, take two firm wraps making sure thread is secure onto the shank. With a red marker color the thread and whip finish. Trim the hackle tip and laquer the head.